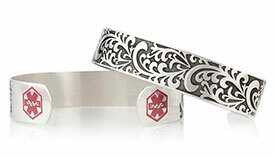 Choose the style you prefer, and we will engrave it with the wearer’s Autism diagnosis and other pertinent information. 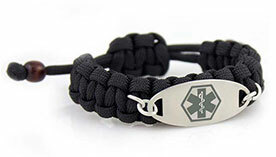 For people with Autism, medical ID bracelets are truly essential. In particular, nonverbal people with Autism need medical ID jewelry to help them be identified, properly cared for, and reunited with family or caregivers in the event that they become lost. Even verbal people with ASD (Autism Spectrum Disorders), such as those with milder forms of Autism or Asperger’s Syndrome, may find themselves so overwhelmed by sensory stimulation in an emergency situation that they become unable to speak or self-advocate. This is particularly true of children on the spectrum who have not yet learned to cope with the sensory challenges that often accompany these disorders. Some people with ASD wander, have additional cognitive and developmental disorders, lack danger awareness, and live with other chronic health issues that first responders need to know in the event of an emergency. 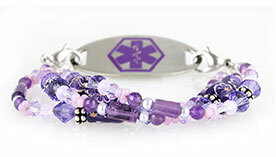 If you or someone you love has Autism, medical ID jewelry can make all the difference in an emergency. When a person with Autism wanders, a medical ID necklace or bracelet can help by bearing contact information for caregivers or parents. 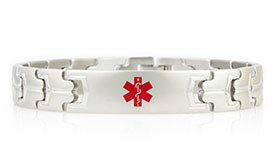 Additionally, in the event of an accident, personalized medical ID jewelry will alert EMTs and emergency room personnel to the baseline diagnosis of Autism, which will prevent the patient from undergoing unnecessary tests and screenings that might otherwise be performed when someone is not responsive to medical personnel in a typical manner.